Focal Point eSolutions has been fortunate to have had the opportunity to work with very capable business owners and create interesting and often uniquely wonderful websites to support these businesses. Our #1 goal of “Building Websites That Build Business” also motivates us to scrutinize the code we use in each website project. If the code comes from the WordPress community we do extreme research to ensure the code is flexible, capable, secure and well-supported by the developers responsible for the code. Several years ago we decided to transition all websites to Formidable Pro’s outstanding form plugin for the contact form used on the site as well as other website functionality. In a WordPress world where many plugins can be used for free, we felt the benefits of using this outstanding product was worth the licensing and support fees. 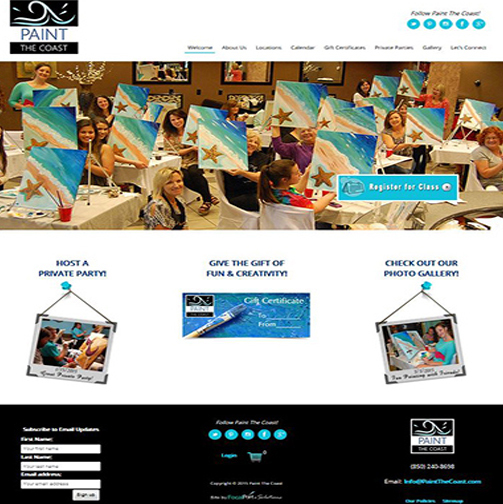 It is a standout product with excellent support and allows integration of custom code to do fun things like we did with Kathy Schumacher’s website for her business, Paint The Coast, a website allowing online signup to scheduled painting parties. 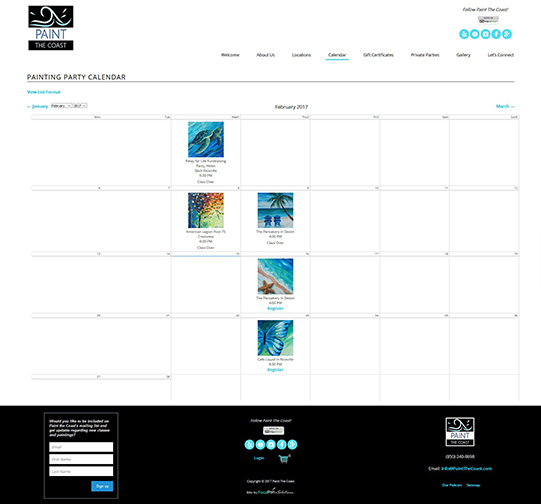 The Paint The Coast website (https://paintthecoast.com) allows Kathy to add new painting parties to a calendar and then once available on the calendar, allows someone to see the featured painting, the date, time and location. Someone can then select the desired party from the calendar, and if seats are still available, can book and pay online. The ability to add a class and the calendar that displays the class schedule (in both calendar and list formats) were built using Formidable Pro’s form software. Formidable Pro has quite a following, and knowing that their product was being used for many different functions, held a ‘Showcase Your Site’ competition to developers using Formidable Pro. The Formidable Pro team and the Formidable Pro community voted on their favorite websites based upon the capability of the site and the creative use of Formidable’s product. We felt that Paint The Coast was a great site to submit for the competition and needless to say, we’re thrilled to announce that it was selected as one of two Award-winning sites last month from over 130 websites submitted to the Showcase. Of course, we realize that a major part of the site’s success was the incredible artistic vision Kathy Schumacher put into this website. 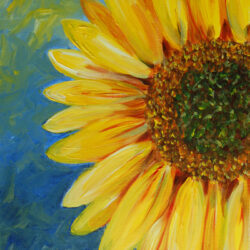 A renowned local artist, you can also see her fine artwork on her other website, https://schumacherfineart.com/. The Google Chrome Security team has announced that the Chrome browser will begin labeling HTTP connections as insecure starting in January 2017. Chrome currently displays a green lock icon in the address bar for sites that are secure but the security team will be taking it one step further by displaying a warning on unencrypted sites. The first sites to see that change will be those that transmit passwords or credit cards as non-secure via the Chrome 56 browser. Initially, these sites will be to display a “Not secure” label in the address bar. Google plans to extend the HTTP warnings to Incognito mode in following releases and will eventually add a prominent red triangle to the label on all HTTP pages as shown below. Focal Point eSolutions is purchasing SSL certificates for all sites hosted under our super-fast and super-reliable VPS service. The typical price for this certificate is $65 a year per website, but for our clients, we will purchase and install the certificate for free — just another benefit to having your website design and maintenance done by Focal Points where our focus is “Building Websites that Build Business”. Each website owner will be contacted to work out a schedule for the transition. 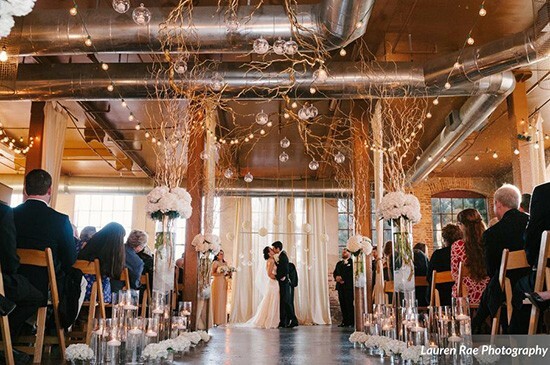 A breath-taking, rustic-chic venue like no other, nestled on the bank of The Yellow River. It’s been great working with the creative Beyond Details team once again. This makes our 4th site together! 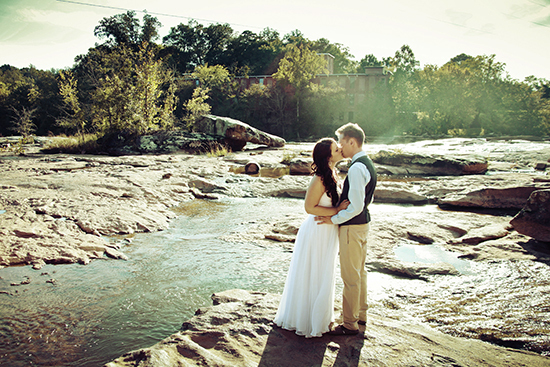 This time we redesigned the site for their wedding venue located just outside Atlanta that resides within a renewed twine mill located on the bank of the Yellow River. 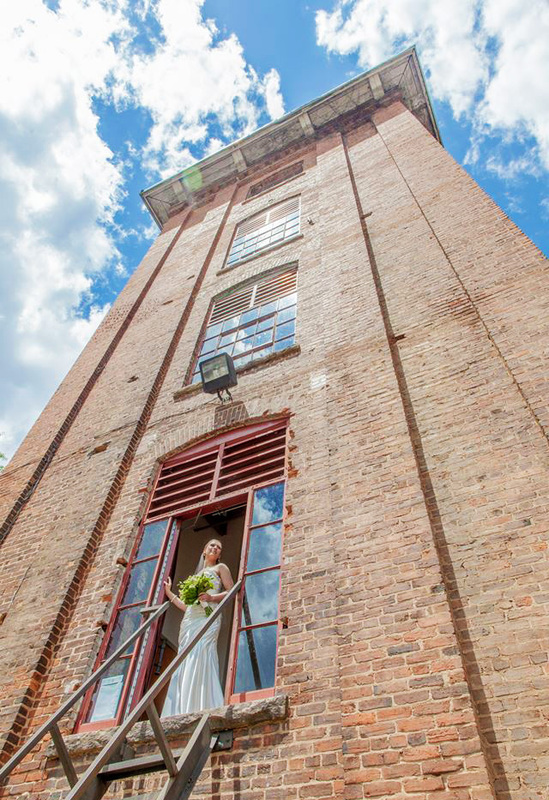 The Mill at Yellow River boasts beautiful support beaming, large curved windows, wonderful brickwork, impressive ceiling heights, … a great backdrop for the weddings created by the talent at Beyond Details, a full service firm that provides catering, floral design, an extensive linen inventory, as well as props and decor rentals. Focal Point eSolutions used the WordPress Content Management System (CMS) as the framework for the redesigned website. We added a bit of parallax to add interest, ensured the website was responsive to any viewing phone, tablet or desktop monitor and added SEO to ensure the website would be found by searching brides-to-be. 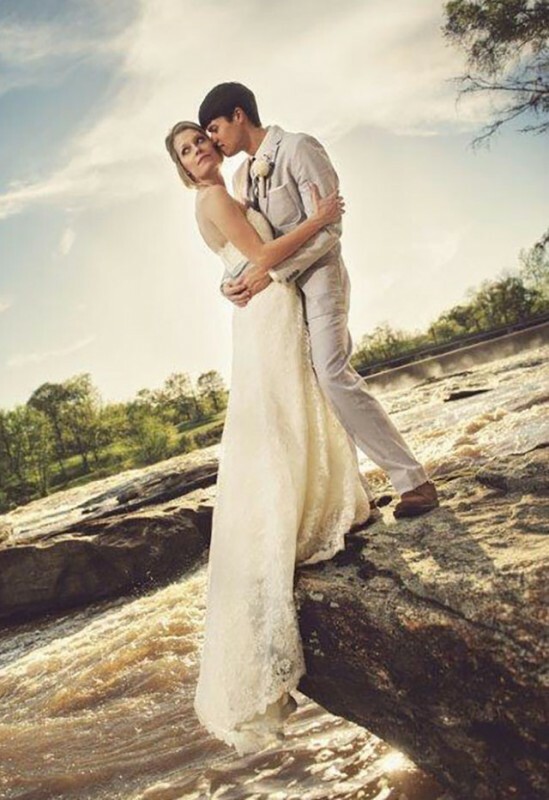 It was wonderful working with the creative and talented Jakob Garner and Kaylyn Hinz. We look forward to hosting and maintaining the site as well as continuing to work with Beyond Details to increase the presence of the website on the internet. We’re thrilled that we’ve been invited to continue working on their next redesign project, the main Beyond Details website for the Atlanta team. 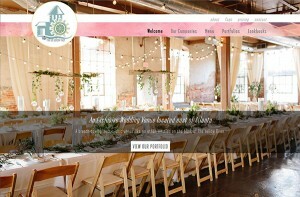 You can view the Beyond Details Nashville team’s website, also created by Focal Point eSolutions. The Focal Point eSolutions’ team is proud to announce the launch of the new website for Northwest Florida’s premiere forestry company, Choctaw Land & Timber. Managing land for timber and harvesting purposes requires expertise, care and service. Choctaw Land & Timber provides professional forestry services to clients with the precise knowledge and techniques you need. 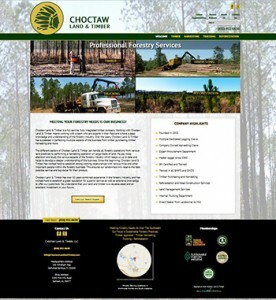 The Choctaw Land & Timber website was built into the WordPress framework but includes custom code and SEO to support the unique marketing needs of Choctaw Land & Timber. The site resizes responsively to the device used to view it. The website will be maintained and hosted using Focal Point eSolution. It was an absolute pleasure working with Chelsea Adams Campbell-Work during the design and development of the website. If she is any indication, the Choctaw Land & Timber team is exceptional. 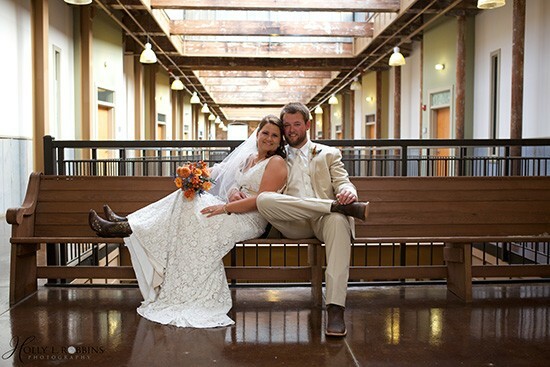 Choctaw Land & Timber is first and foremost a family owned business. Founded in 2005, the company has over 50 years combined experience in the forestry industry. This expertise allows them to provide multiple services to their clients including timber purchasing and harvesting, land management, hauling and reforestation. Because of their reputation for success and excellent service, their business continues to grow throughout northwest Florida and southern Alabama. This professional forestry team focuses on two key aspects: productivity and efficiency. Both are essential for ensuring that their clients receive top value for their product in a timely fashion. A love for forestry fueled by knowledge of the latest and best practices enables them to succeed in each project, no matter the size or complexity. Choctaw Land & Timber works with clients on each step of the forestry management process. They can develop a plan to help you manage your land, whether it is for timber or recreation. Looking to purchase land? They can help find the ideal investment so that your property provides you the value you need today and tomorrow. Their harvesting and logging crews, as well as trucking fleets, are company owned. This means they can provide their clients with the services they need as quickly as possible. Their crews are trained in the latest practices and certified in the master logger program. Finally, reforestation services are customized to meet the personal goals of the landowner. 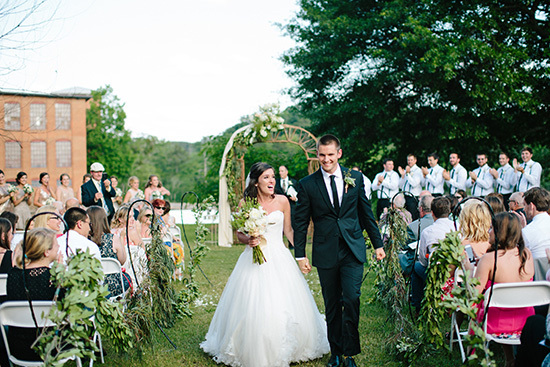 Choctaw Land & Timber is headquartered in Defuniak Springs, FL and has shop locations in Sampson, AL. When it’s time for a night out with friends, a special someone or the folks from work, it seems we often look to the standard dinner out to relax and enjoy the company of others. Rarely do we find a social activity that’s a fun and creative learning experience that everyone can do – at least with the right mentoring. Paint The Coast painting parties are just this kind of activity. And the mentoring couldn’t be better. 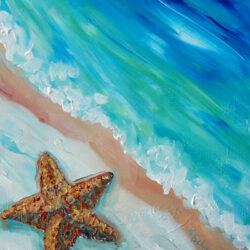 Paint The Coast was founded by Kathy Schumacher, an award-winning local artist. Kathy and her daughter, Krista Schumacher, also a talented artist, will guide you in successfully completing your masterpiece. And while painting, you’ll find yourself relaxed, have the opportunity to visit with others, and have a glass of wine if you like. 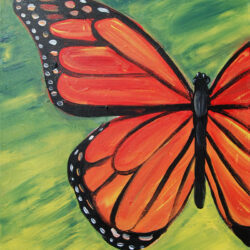 You’re painting becomes a memory of the event as well as art to brighten your home or office. 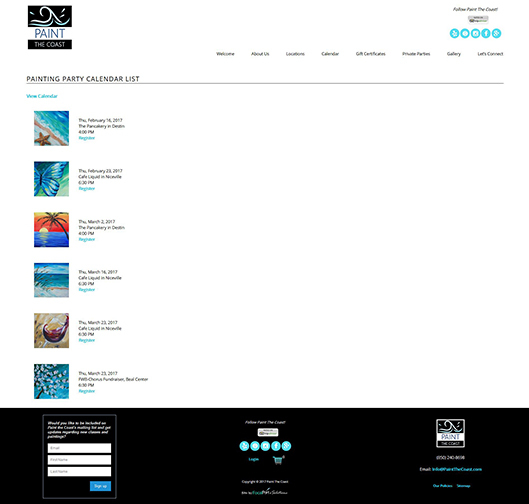 Focal Point eSolutions is happy to announce that the Paint The Coast website has just launched. The site is a one-stop shop for someone interested in seeing what painting classes are scheduled, register and pay for a class, or even email a special someone (or several special someones) a gift certificate for a painting class. 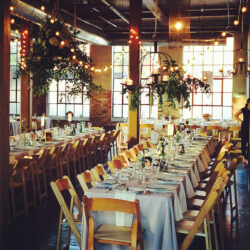 Do you have a group you’d like to host a private party for? You can send Kathy a request for a Private Party from the site to get the event rolling. Scheduled classes are available at Café Liquid in Niceville or The Pancakery in Destin but you can select your own venue for your private party if desired. It was wonderful getting to know Kathy Schumacher while working on the website. I’ve admired her artwork for years at ArtsQuest. What a very creative, lovely lady! You can view her professional work at Schumacher Fine Art where she uses a palette knife technique that results in textured paintings that are a cross between painting and sculpture, having almost 3D attributes. She uses rich colors that provide depth to her paintings. 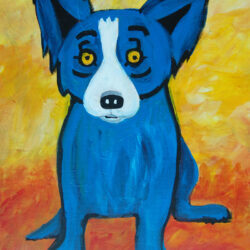 It’s not surprising that this richness of color is also featured in the paintings she offers in her painting parties. 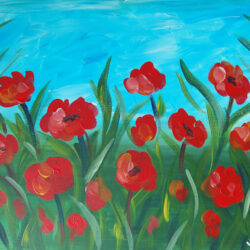 Krista is available to teach Emerald Coast painting parties during the Summer months. Her vibrant oil paintings are done with a unique alla prima style infused with realism and impressionism. 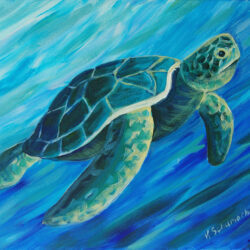 You can see her portfolio at Krista Schumacher Art. Located in Santa Rosa Beach, Trident Construction Inc. provides comprehensive roofing and waterproofing services for the Southeastern United States. They work with both commercial and government clients to realize projects conscientiously and effectively. Recent projects include the Blue Mountain beach condo and the Market Inn Baytowne Wharf. You can check out the stunning aerial photos by local photographer, Scott Jackson. These photos capture the attention to detail from a magnificent bird’s-eye view. 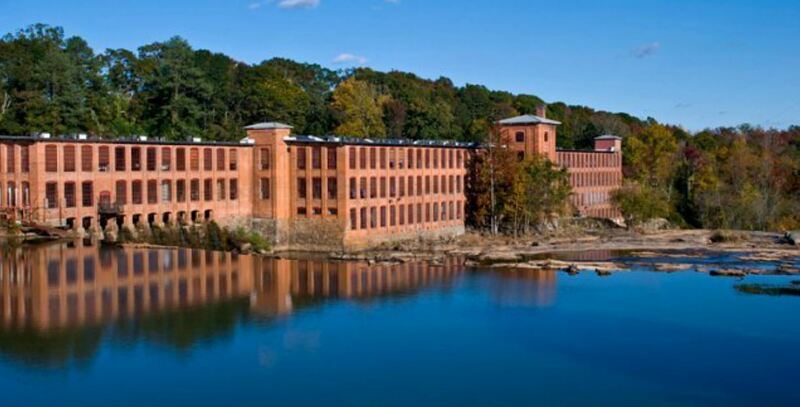 Trident Construction is made up of full-service roofing and waterproofing construction specialists. The contractors have been licensed in Florida and Alabama since 2008. 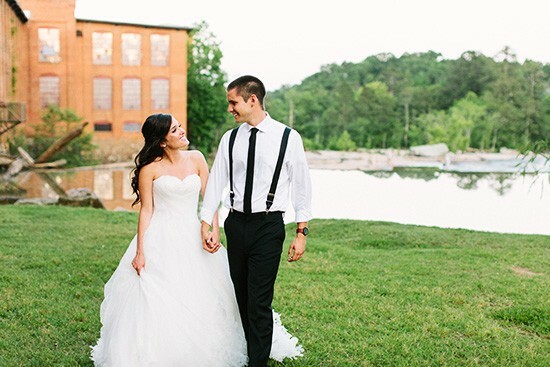 As full-service specialists, they’re prepared to guide you along every step of the way. Whether you need a general contractor or consultant, Trident Construction is well-equipped to help you achieve your goals. 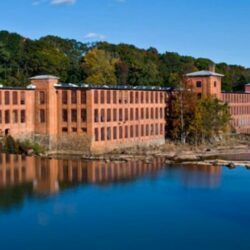 They work on tasks as small as minor repairs to ones as grand and complex as million-dollar renovations. When taking on a large-scale project, it’s essential to leave your visions in capable hands. Trident Construction has made a name for themselves in the industry for their allegiance to best practices and techniques. They pride themselves on using only the best materials and products, allowing them to complete projects on time and within your budget while surpassing expectations. To get a better idea of the results Trident Construction achieves, review their client testimonials. As their web designer, it was a pleasure working with Andrew Nelson (President) and Jason Browning (Vice President). They impressed me as being a competent, focused team. Focal Point eSolutions designed their new website and provided the coding and SEO services. 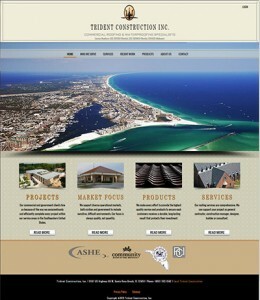 I am proud to provide hosting and maintenance for Trident Construction and wish them continued success. Be sure to contact Focal Point to find a design that reflects the essence and vision of your business. Wouldn’t going to the dentist be a little more fun if you could see a smile architect and visit the Tooth Fairy’s house? At Dr. 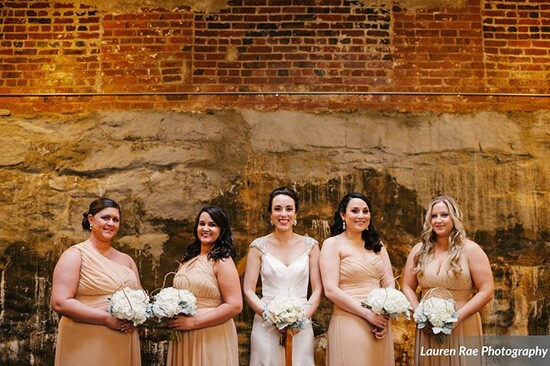 Dawn Wehking’s Complete Family and Aesthetic Dentistry you can do just that! Dr. Wehking offers a comfortable, personalized experience for her patients. Her commitment to excellence was recently recognized with a TopDentists award. Those of us at Focal Point eSolutions are always so pleased to hear of the accomplishments of our clients. We’ve always known that Dr. Wehking of Complete Family Dentistry was special and have enjoyed working with her and her staff on her website for over three years. Dr. Wehking has always had a passion for artistry and helping the community. As a child, she wanted to own a restaurant. While it may seem like quite a jump to go from dreaming of managing a restaurant to perfecting smiles, Dr. Wehking says the root desire is the same. “To me, actually, dentistry is a lot like owning a restaurant. I get to be a strong part of the community and see the same people on a regular basis,” she elaborates. This philosophy extends right outside the dental practice as well. When patients first make a visit to Complete Family and Aesthetic Dentistry, they’re often pleased to see the office is actually a house! This cozy abode feels warm and friendly unlike the typical cold, sterile environment of many dental offices. Little ones will create happy memories as well when they peek into the Tooth Fairy’s house. With such a warm, personalized approach backed by years of experience and expertise, it’s no wonder Dr. Wehking was honored by her colleagues with the TopDentists award. These specialists see her hard work each day and recognize what it takes to truly be a top dentist. Be sure to check out the June edition of the 5280 magazine to learn more about Dr. Wehking. If you’re looking for a healthy, glowing smile, contact Complete Family and Aesthetic Dentistry today. Dr. Wehking and her team in, located in Lafayette, Colorado, will provide you with the personalized experience they’re so well known for. Wouldn’t it be amazing to come home after a long day of work to find your environment transformed into a clean and purified sanctuary? Ah, pretty luxurious, n’est pas? SoWal Clean of Miramar Beach provides Five Star cleaning service using eco-friendly, non-toxic products for homes and condos located in Destin, Sandestin and The Beaches of 30A. Their service takes cleaning to the luxury level where they provide thorough care to property interiors while giving each space a true renewal. Their team members are highly trained and a final inspection takes place after each cleaning just to make sure no detail is overlooked. 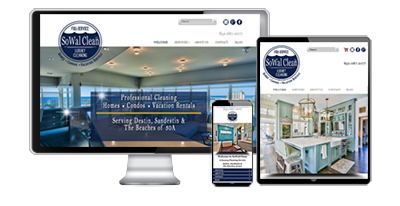 Focal Points is so pleased to be able to work with SoWal Clean’s owners, Jeff and Andrea Giuliano, by providing them with their new website and associated SEO, hosting and maintenance. The website was coded in WordPress and will responsively resize to any display size used to view the website. Ecommerce was added to the site to allow guests the ability to treat their special someone to a SoWal Clean gift certificate. It was also a pleasure working with Tim Kramer who provided us copyright to some of his beautiful photographs. 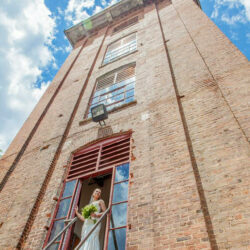 You can find a collection of his impressive work on his Tim Kramer Photography Facebook page. If you live in a high-end home, condo or own vacation rental property in the Sandestin, Destin or 30A area and are looking for a trustworthy, professional cleaning service, I recommend you give Andrea Giuliano a call at (850) 687-2077 or send the Giulianos an email via the SoWal Clean website. Focal Point eSolutions has enjoyed working with Robert R. “Bob” Klostermeyer on his website. Bob’s primary practice areas include Criminal Defense for Juveniles, Real Estate Closings, and Probate and Wills, but as a General Practioner, can assist you even if your matter is outside of his primary practice areas. Bob has vast experience as a legal educator at the college level as well as to police cadets at numerous law enforcement academies. It’s not surprising that I’ve found Bob to be a very caring individual who is great at listening as well as bringing clarity to any discussion. It’s been a pleasure working with Attorney Klostermeyer through the processes needed to produce his company’s website. Focal Point eSolutions designed the logo as well as the website which was built on the WordPress Content Management System with SEO built into every page, post and photo used on the website. The site was also coded to be responsive to all screen sizes. The site will be maintained by Focal Point eSolutions. Maintenance will include hosting, software updates, updates to the website, evaluation of Google Analytics data, and continued SEO support. Focal Point eSolutions builds websites that build business. We primarily provide support to businesses located on the Emerald Coast in the cities of Destin, Miramar Beach, Niceville, DeFuniak Springs, Gulf Breeze and Navarre. We look forward to working with Lawyer Bob K for years to come! Waugh Custom Homes of Niceville Website Design Approved! It’s always a special treat to work with creative people. Ed Waugh of Waugh Custom Homes has exceptional design talent which become apparent you start looking through his gallery of renovated and newly constructed high-end homes. 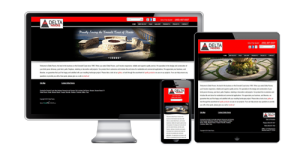 A construction veteran who recently moved his business from Alabama to the Emerald Coast, Ed needed a new website to provide a business presence that supported his business brand. Focal Point eSolutions designed the company logo as well as the new company’s website. 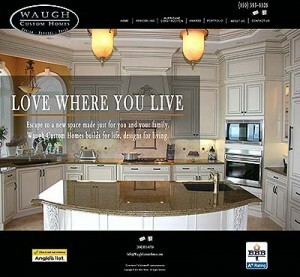 The website look and feel supports the quality, upscale business brand of Waugh Custom Homes. As with all recent Focal Point websites, the site will be coded for all display sizes. Search engine optimization will be added whenever possible to allow online customers to find the site. The site will be maintained by Focal Point eSolutions upon launch. Maintenance will include hosting, software updates, updates to the site, evaluation of Google Analytics data, and continued SEO support. Focal Point eSolutions builds websites that build business. We primarily provide support to businesses located on the Emerald Coast in the cities of Destin, Miramar Beach, Niceville, DeFuniak Springs, Gulf Breeze and Navarre. We look forward to working with Ed Waugh for years to come! You’ll find the current website for Waugh Custom Homes at https://waughcustomhomes.com or you can contact Ed Waugh at (850) 585-8326. 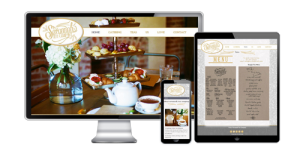 Focal Point eSolutions just launched the new website for Savannah Tea Company of Nashville TN. 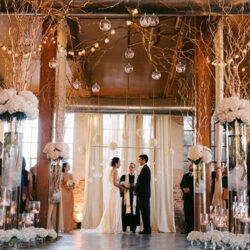 We love working with Brandy Dyer who also owns Beyond Details Catering and Floral Design of Nashville. 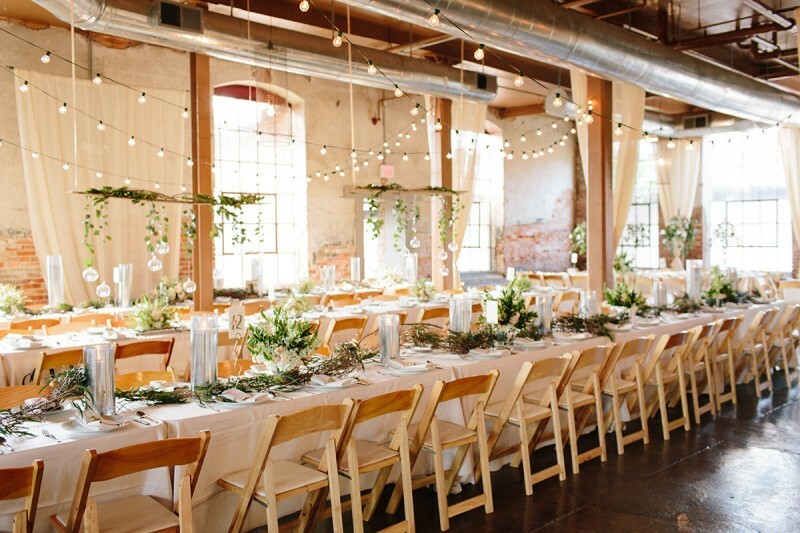 The website currently provides a guest with the beautiful images of the teas and catering that Brandy and company are doing for special events in the Nashville area as well as traditional Saturday teas at Nashville’s Ambrose House. 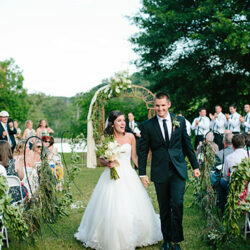 The website follows the design used for the Beyond Details website but adds unique design elements to make it Savannah Tea Company. It was coded within the WordPress Content Management System to be responsive to the screen site that it is displayed on. Search engine optimization was built into every available page, post and photo. A gallery page will be added soon which should be a wonderful treat for the eyes! The Virtual Sole Chasers is a club offering members who participate in virtual races, different challenges in the following distances; 5k, 10k, Half Marathon and Full Marathon. There are no minimum requirements to join or any proof of time needed for verification of completing a race. You track your progress on your own or with friends — and there’s even virtual bling when you achieve a challenge goal! Want to know about other virtual race opportunities? 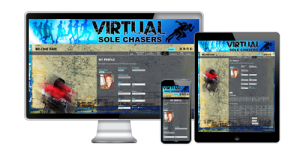 Virtual Sole Chasers keeps a list of future virtual races that you’re welcome to copy over to your own profile page. Your membership keeps a log of your completed races with finish time information so you can look back at your accomplishments and take pride in your successes. This membership site uses the WooCommerce shopping cart and subscription module. Membership subscriptions may include 4 challenge levels, with each additional challenge level a member adds costing less. Formidable Forms were used to hold the member’s profile information, personal race information as well as the master ‘Find A Race’ list kept up-to-date by the site’s Race Director. The Gear Closet is setup with some fun items members will want to add to their own closets. A Scrapbook is setup to highlight photos sent in by members while they’re out succeeding at their personal goals. There was ample custom PHP code completed to ensure the site could support the custom requirements of the club. And as with all new Focal Point designed sites, it was coded within the WordPress Content Management System to be responsive to the screen site that it is displayed on. Search engine optimization was built into every available page, post and photo. Always wanted to race but wanted it to be at your convenience? Virtual racing may be just what you’re looking for! A year’s membership with one challenge level (5K, 10K, Half Marathon or Marathon) is only $35. After your first year, renewal is only $10 for a single challenge level or a total of $15 if you have more! Nonie of Nonie’s Ark Animal Encounters is an Educator and an Entertainer. Join her for a fun, hands-on learning adventure featuring live exotic animals for birthdays, classrooms, festivals and more! She provides a one hour presentation, indoors, to groups of up to 30 children in a “story time” type setting. She presents one of 7 animals at a time and teaches about their natural history, behaviors, habitats and why she has them. Most of my animals are rescued, unwanted or unwarranted small exotic pets. Her presentation is fun, educational and responsible. She teaches about what makes a good pet and a good pet owner. Got a party and want it totally themed for an Animal Encounter? 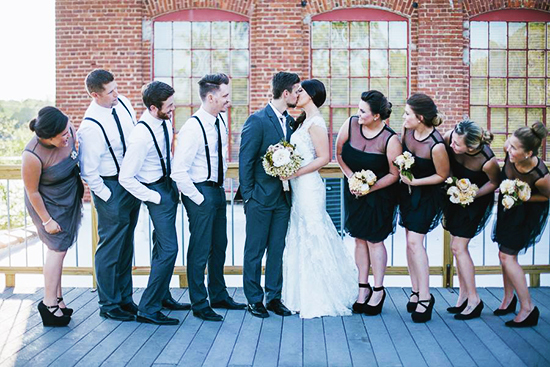 Nonie can do that for you too plus she’ll add an extra hour of her time if you book her Hostess Package which includes invitations, cake, games, party favors (including helmets) and decorations! How fun is that plus so easy!? The website needed to be recoded to remove it from it’s restrictive WordPress theme. Once completed, we could update the site as Nonie desired. 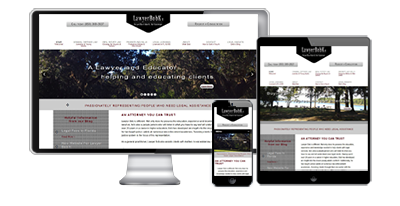 The site was designed to be responsive to the display size that a visitor uses. Search engine optimization was added for each page, image and post. Focal Points is proud to once again help a local Emerald Coast business grow. 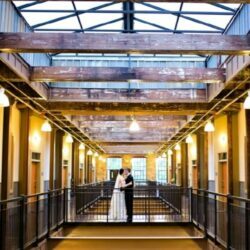 Focal Point eSolutions Builds Websites that Build Business! 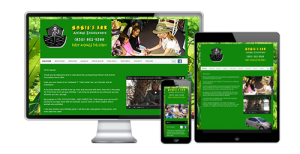 Take a look at the Nonie’s Ark Animal Encounters website. She’s got a great video that shows some of what she does with the kids. Wonderful! The Delta Pavers website has launched! Delta Pavers is based out of Miramar Beach, FL but provides hardscapes services to all locations on the Emerald Coast of Florida. The website includes good information and lots of photos to help someone design the paver project of their dreams. The site includes photos of projects completed by Delta Pavers as well as product catalogues that can be downloaded. The website design was created in Photoshop and then coded into the WordPress Content Management System (CMS). The site resizes to respond to the size of the display device (Responsive Design) and is optimized for Search Engine Optimization (SEO). Focal Point eSolutions will continue providing maintenance and hosting support for the website. We’ve also been asked to support future Internet Marketing and Social Media integration efforts. We look forward to helping Delta Pavers build their business! You can contact them on the Delta Pavers website or if you’d like to give them a call, ask for James Marroquin at (850) 497-5557. Focal Point eSolutions has been hired to redesign the website for Full Net Fishing Charters, one of our Emerald Coast guided fishing charter companies local to the Navarre Beach and Pensacola areas. Capt Eddie Woodall is a true veteran fishing guide and has been fishing professionally for over 20 years. He specializes in full-time, year-round inshore and nearshore fishing. 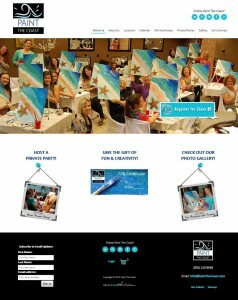 Focal Points just got the thumbs up on the website design. The website should be available by mid to late June and will consolidate Full Net Fishing Charter’s existing websites to provide a more prominent single website which will provide extensive local fishing information for current and prospective fishing clients. We’re really looking forward to this project which will also include the creation of a fishing video for Full Net Fishing Charters! The site will be given a responsive design so it will reformat depending on the viewer’s screen size. Of course, we’ll code up Search Engine Optimization at every opportunity. You can find Full Net Fishing Charter’s current primary website at http://www.FullNetCharters.com/. to book a trip, just give Capt Eddie a call at (850) 936-8203.